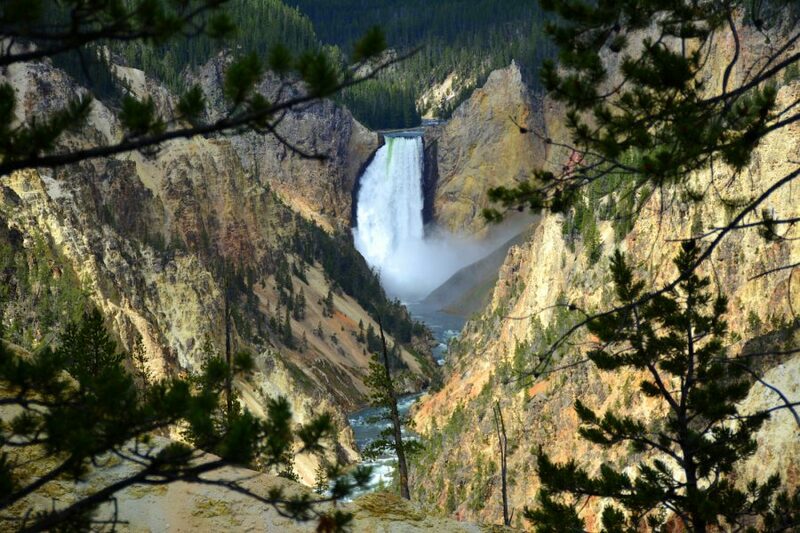 Yellowstone is the oldest and – by opinion of many travelers – the most beautiful national park on the world. 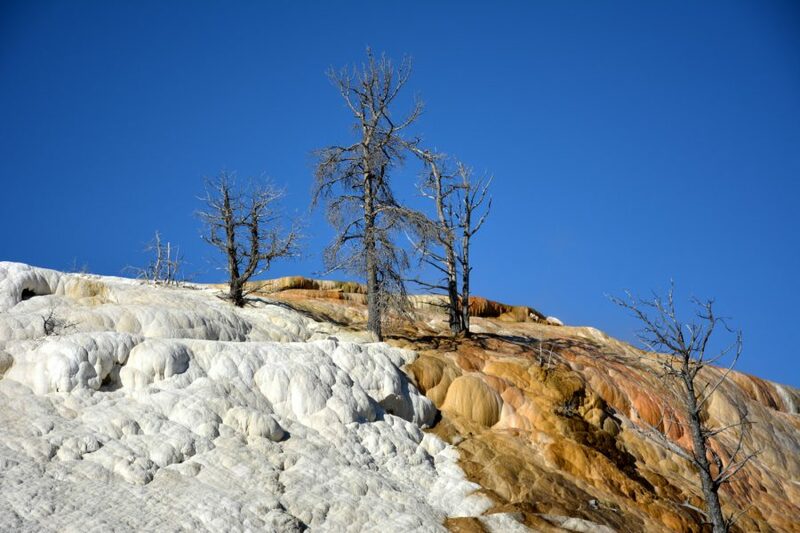 Entire park lies on volcano of diameter of 60 km, which erupted 600.000 years ago. Landscape that was created by that eruption is unearthly beautiful, wild, basic and protected by law. 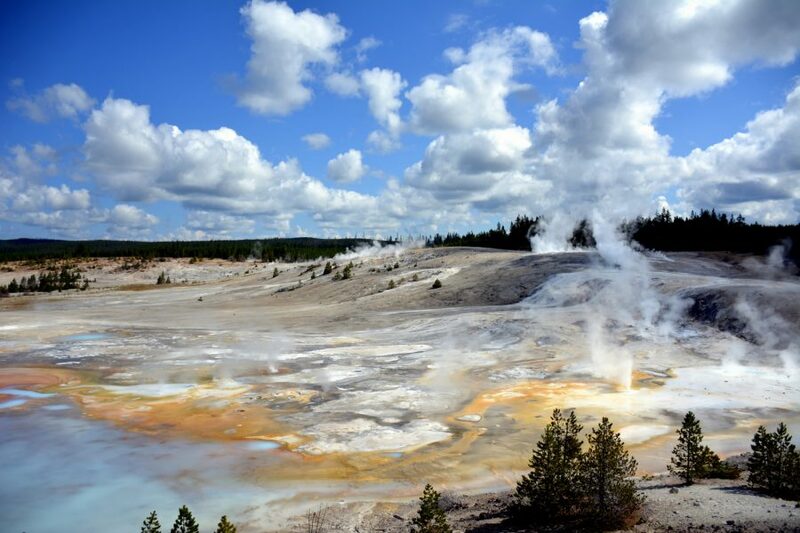 The tiniest Earth´s crust in Yellowstone is only 200 m thick and that´s why there are so many unusual geysers – more than on the rest of whole world together. If it will erupt again – or better when, because statistically it will erupt in 30.000 years – its power will destroy not only entire USA, but can also cause new ice age. 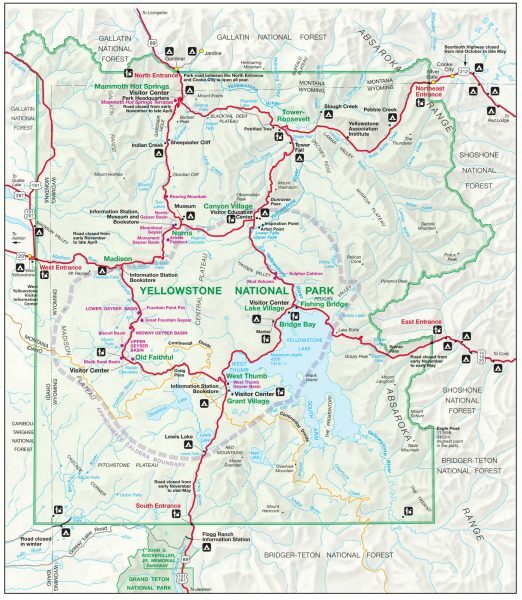 Exploring of Yellowstone runs on tidy roads (main road is in shape of number eight) and on the paths that should be obeyed because of numerous wild animals in that area. 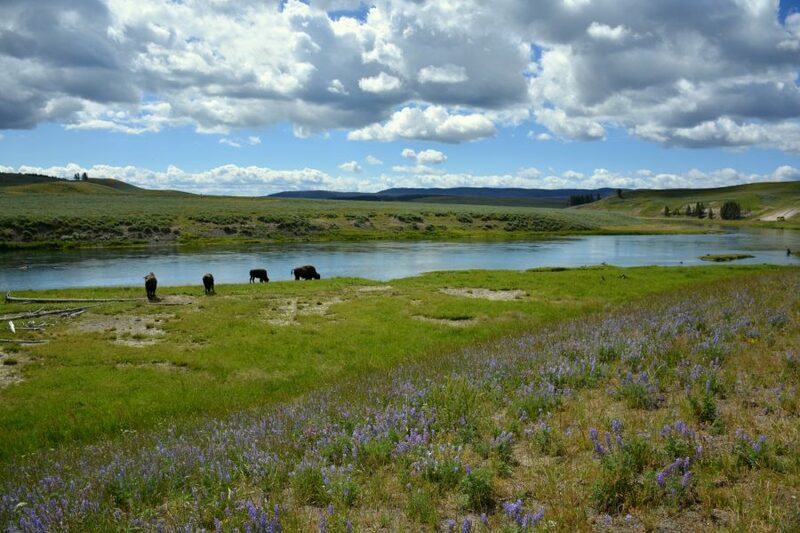 To explore Yellowstone a day or two just aren´t enough, as park is nearly 9000 m2 wide. 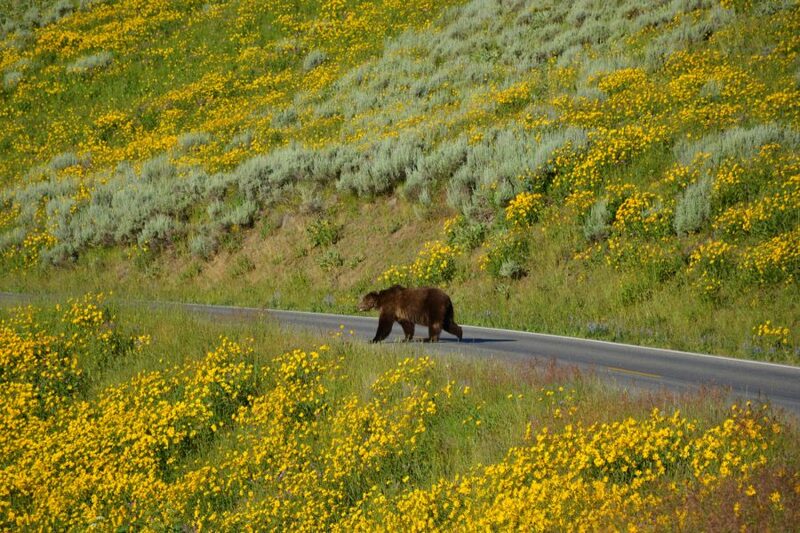 For true experience of Yellowstone, we recommend at least 5-7 days. 1. 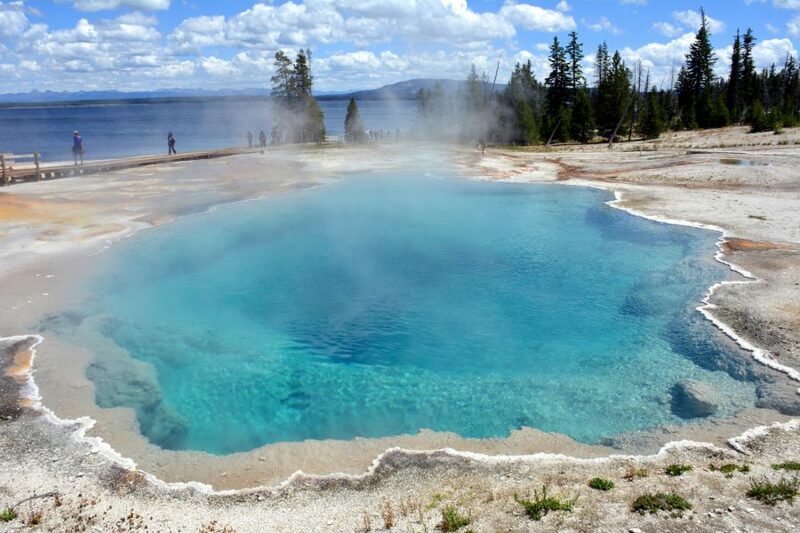 Numerous geysers, springs and geyser basins, that Yellowstone is so well known by. One of the most beautiful geysers is Grand prismatic spring, which is in shape of the sun, and enthuses travelers and photographers all over the world with its contrast in colors and playful light. Beside Grand prismatic spring we were enthused by West thumb geysers and Norris and Biscuit geyser basins. Very well known (and because of that also crowded) is Old Faithfull geyser, which heavily erupts approximately every 90 minutes. 2. 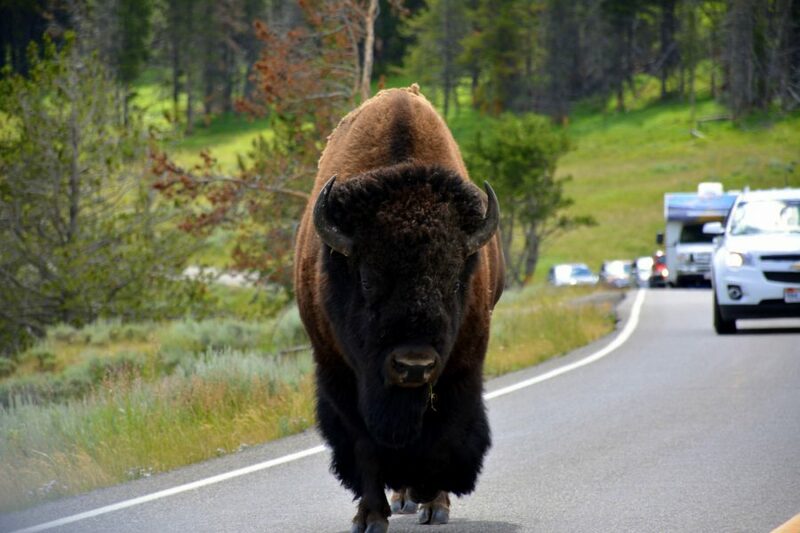 There are many wild animals in Yellowstone that you can see on every step: bears – black bears and grizzlies, bison, deer, coyote, moose, wolfs, birds… We silently wished to see a bison or a bear. 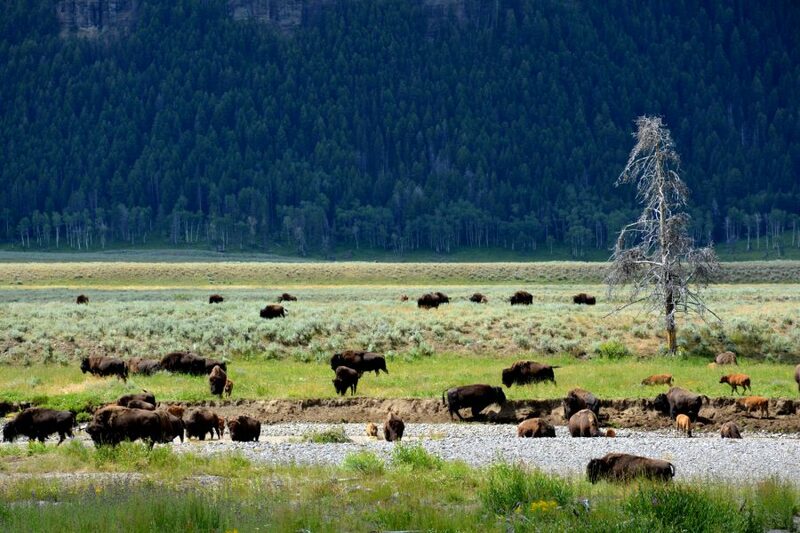 But we than saw dozens of bison, seven bears and loads of other animals. Really above of all our expectations. 3. 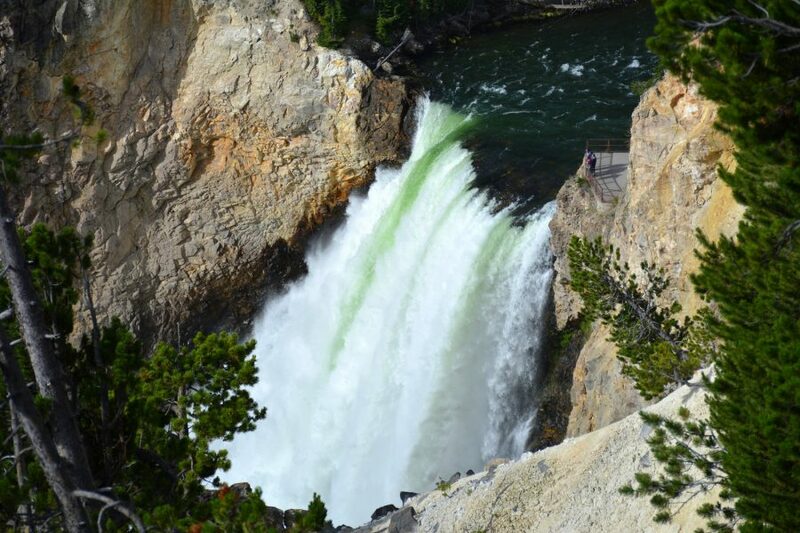 Yellowstone canyon. River Yellowstone creates many waterfalls and astounding views on its way through canyon. There are many paths by the canyon and many viewpoints which are easy accessible for all of those that don´t have more time for exploring. 4. 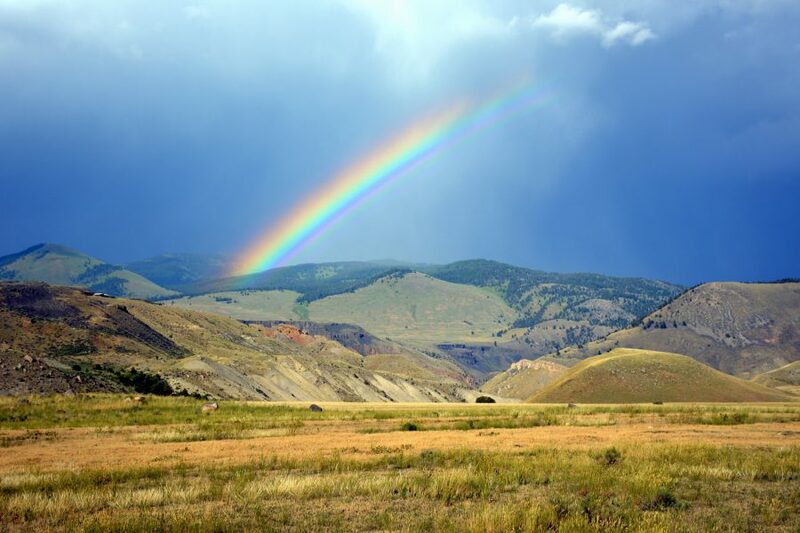 Lamar valley is hidden gem of the park and you shouldn´t miss that. The valley lies on the north west edge of the park and is known by multitude of animals that you can see in their natural habitat. 5. 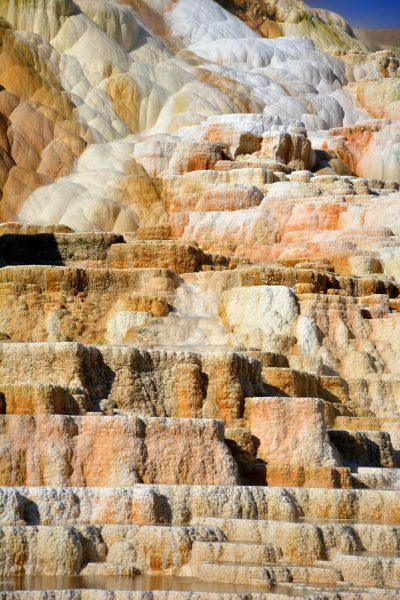 Mammoth hot springs are on north side of Yellowstone national park and are famous by beautiful white and red and brown terraces and springs in them, that reminded us of Turkish Pamukkale, just that they are much more beautiful.